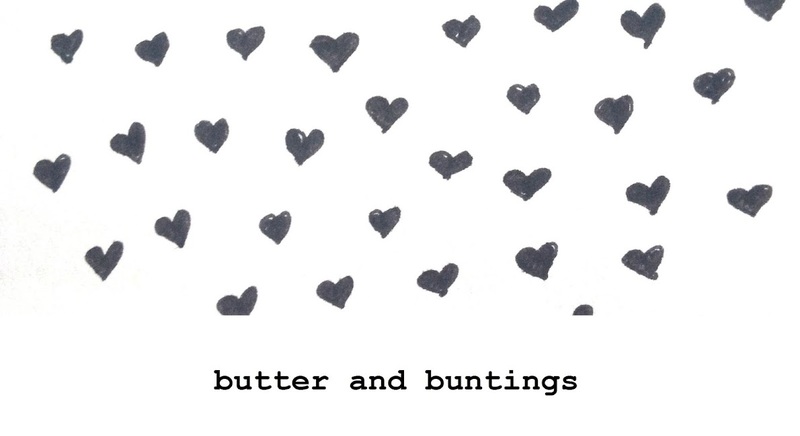 Butter and Buntings: Hello hello! Oh my goodness, its been quite a while since my last post. I'm sorry! To both you if you read this blog and to me, as I really do enjoy this space. I hope to find more time and energy to blog here. I'm pretty excited about this post, and think for my first for 2015, its a wonderful way to start both the blogging and the year! We have just got back from our holiday in Rosebud(a post and pics to come) and I was delighted to see a package waiting for me. I knew who from, I've been expecting it. Zara and myself decided to do a dress swap with each other and it was her dress for me!!! How fabulous and exciting. We decided to basically, make each other a dress, and send it to one another. Lovely hey! Her dress for me is so pretty, and lovely Zara used a pattern which I think is just so clever. The style is perfect for summer both loose and belted up! It really is the perfect dress for me, and the fabric is wonderful. I knew it would be. She has a very good eye for vintage prettiness. The card Zara sent me, a photo she took of her amazing vintage sheet stash! Loose, perfect for hot days we are having! I was pretty excited to make Zara's dress because I knew just how much she would love and appreciate the vintage sheet I chose! I'm pretty happy and proud! Her little bundle of goodies in the mail! So ive started the new year making, giving and wearing a one of a kind, handmade dress. I don't really think it can get much better than that. 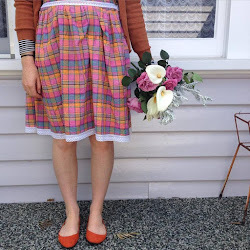 Its got me all excited and inspired to perhaps host a dress swap here on my blog! The joy of making and receiving something so personal, totally for the person is wonderful! Let me know if you think it would be something you would like to take part in! I will probably go ahead with it anyway haha, Zara and I already planning another swap together anyway, but the more ladies making, giving and wearing handmade, the better! Happy new year to you all, and I hope yours can be a handmade one someway or the other! Oh you look lovely Taz. hope you love it! thanks again for swapping with me! Your frock to Zara is equally gorgeous. Love the dark brown trim and I can picture her wearing it. 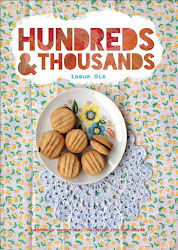 I am planning to push myself sewing-wise this year, so if you get a swap up and running count me in. Oh I love this dress so much! And goes perfectly with your yellow salties. I'm sure Zara will love your dress. Beautiful also. What a lovely idea. Love this idea of swapping dresses! Pics from our annual seaside holiday.